Email as easy as Messaging! MailTime is a mobile messenger built with email technology. It’s email as quick and easy as texting, and messaging without forcing all your contacts to download the same app. It syncs all your desktop emails and smartly sort them into conversational emails and newsletters so you can deal with your inbox easily on the go. MailTime now supports ALL Email Providers! 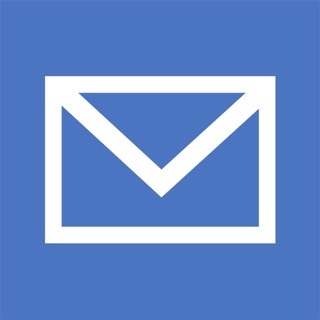 Exchange, IMAP, Gmail, iCloud, Yahoo, Outlook, AOL, Office 365, Mail.ru, Hotmail, QQ,163, 126, Tencent Enterprise, Sina Mail, Google Apps Mail services and EVERYTHING. You can also attach files from Dropbox, iCloud, Google Drive, Box, and One Drive with MailTime. MailTime's content parsing engine cuts out annoying metadata to display emails in clean bubbles. View your emails as conversations, not threads! MailTime's intelligent inbox sorts out the Important humans from the newsletters, discounts, and other machine-generated mail in All Mail. Talk to people you care about, not machines! Managing your conversations in MailTime is just like a group chat. To add, remove, or switch participants to 'cc' or 'bcc', just swipe left and change your participants' status. Just like Twitter prevents you from writing more than 140 characters, MailTime alerts you if your message is too long. You can still send them, but no guarantees that they'll be read! No. All your friends need is an email address. MailTime is a messenger which leverages email as its platform. Whatever clients or softwares your friends are using, they can still send emails to you via your email address. MailTime syncs all your desktop emails, and presents them in a mobile-friendly messaging style. No change. To non-MailTime users, messages appear as normal emails. If you'd like to view the original email within MailTime, simply tap on the chat bubbles. As featured in Forbes, Business Insider, CNBC, LifeHacker, Fox, and TechCrunch Disrupt Startup Battlefield. Deserving of 5 stars. I won’t fully use it until two things happen though. IMAP and Exchange aren’t supported yet....get those. Next, would make this app the BEST email app on iOS; images in signatures. If I load an image in to this one, it like “the rest” changes to “Null”. Developers; you’ve got something amazing here.....tweak those two things and you’ll have droves of customers paying for the premium version. Hell, raise its price when you do that too. I’d happily pay extra for image support in signatures.....seems nobody offers that in the land of Apple. No aliases, no ability to customize swipes. This app could be amazing, but it lacks some basic features that I would be happy to pay pro for. The lack of aliases is a problem. I use aliases for potentially spammy website logins/ online stuff where I don’t want my true email address (which has my full name) revealed/used. Also have an alias for joint family emails. Zero, zero support for aliases & a quick search of the support forums show that this has been ‘liked into’ since 2016. Inability to customize swipes. Apps should make your life more efficient, not force you mindlessly into developers methods. I always swipe right to delete - on all my apps. All my apps have the option to set swipe controls.. it’s pretty basic and standard nowadays. Zero ability to set swipe controls = repeatedly swiping the wrong way = having to undo last action = frustration and time wasted. This app could be amazing- excellent execution of message bubbles, mentions and strong auto filtering of junk mail, but basic UI issues need to be addressed/ updated. I set this up with my three most used email accounts, and was eager to move it into my primary email app spot. The deal breaker for me is that it took over a minute to “update” when opening the app each time. It just sat there frozen while I waited for it to sync with newer messages—messages that had already been received and shown as a notification. I would imagine that I’m like many users who need to be able to hop in and out of the app quickly in order to respond to important emails, but that appears to be functionally impossible with this version.